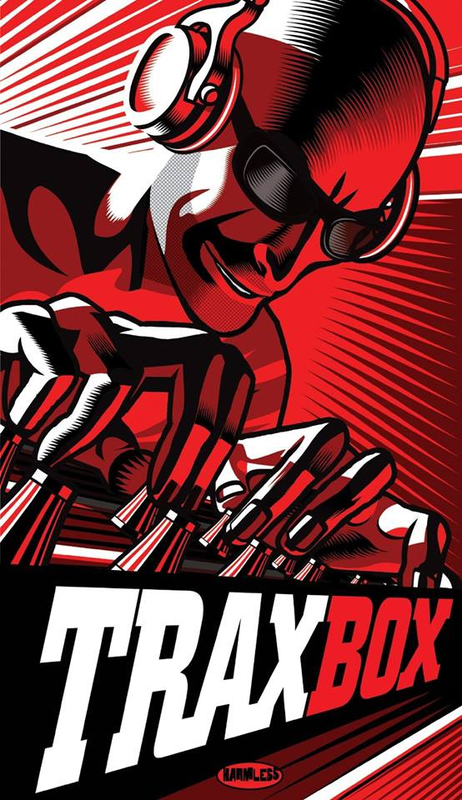 Traxbox CD boxed set artwork. I was asked by old friend and rare dance music enthusiast, Ian Dewhirst, to create the cover artwork for their CD collection of dance classics from Chicago’s legendary Trax Records back catalogue. I agreed and spent the next week roughing out several concepts before settling on the one above. When plotting out a character’s lines, I want to make as much impact from the lighting as possible and so, to ensure maximum flexibility, I built the DJ first in 3D so I could experiment with multiple set-ups. On finding the right angle, I printed out the 3D face and then inked it in by hand before scanning it back into Illustrator for the final vector re-drawing. Logos and lettering also by yours truly.